Neuroendocrine tumours (NETs) can either be benign (non-cancerous) or malignant (cancerous) and start in the cells of the neuroendocrine system. 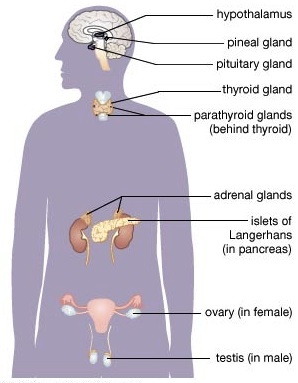 The neuroendocrine system is a network of endocrine glands and cells throughout the body. Endocrine glands produce and release hormones (which regulate some chemicals in our bodies) which are circulated around the body. Neuroendocrine tumours can therefore appear in various parts of the body. The neuroendocrine tumours we discuss here are found in the pancreas and are called Pancreatic neuroendocrine tumours. They are very rare, making up just 2-5% of all pancreatic tumours. In the pancreas, cells, known as Islet of Langerhans, produce hormones including insulin, glucagon and somatostatin which are involved in the control of sugar in the blood. PNETS are tumours found in these cells so are sometimes referred to as Islet cell tumours. Non-functional (non-secretory) PNETs – these tumors do not produce hormones. 90% of these tend to be malignant (cancerous). Click for more detail about the diagnosis and treatment Non-Functioning PNETs. Functional (secretory) PNETs – these tumours secrete hormones. The majority of these are benign (non-cancerous). They are generally classified by the hormone most commonly secreted as described below. The average patient survives several years following diagnosis and treatment of malignant islet cell tumours, as they are typically slower growing than exocrine pancreatic cancer. Insulinomas are found evenly distributed within the pancreas, with approximately one-third being located in the head of the pancreas, one-third in the body, and one-third in the tail Ninety percent of patients will be able to have surgical resection (removal) of the tumour. However, less than 10% of patients with insulinoma will be found to have some form of the multiple endocrine neoplasia-1 (MEN-1) syndrome (see below). In about 10% of all cases of insulinoma, it will be found to have spread (metastasised) to nearby lymph nodes or to the liver, and this is known as malignant insulinoma. In these cases, surgical resection of both the tumour and the metastases is considered and chemotherapy is sometimes offered. Diagnosis is made by testing for elevated gastrin hormone levels and through imaging scans such as a CT scan. Seventy-five percent of gastrinomas occur sporadically, whereas 25% are associated with the inherited genetic syndrome MEN-1 (Multiple Endocrine Neoplasia Type 1 (MEN-1)) (see below). With the MEN-1 syndrome, there may be multiple tumours located within the head of the pancreas and/or the duodenum. Most gastrinomas are malignant or have the ability to become malignant. In the past, the majority of gastrinomas had already metastasised (spread to other parts of the body) at the time of diagnosis. More recently, with increased awareness and earlier screening, diagnosis of gastrinoma is being made earlier, leading to the discovery of a higher percentage of curable disease. Gastrinomas within the pancreas are usually surgically resected either by distal pancreatectomy or pancreaticoduodenectomy. If the tumour has spread to other parts of the body (metastatic), surgery may still be possible to remove the part of the tumour that is producing too many hormones. This is often referred to as tumour debulking. Treatment will often include surgery, especially distal pancreatectomy and sometimes chemotherapy is offered. If the tumour has spread to other parts of the body (metastatic), surgery may still be possible to remove the part of the tumour that is producing too many hormones. This is often referred to as tumour debulking. nausea (feeling sick) and vomiting (being sick). Despite the name, in rare instances VIPomas secrete hormones other than VIP. The syndrome is also known as Watery Diarrhoea and Hypokalemia Achlorhydria (WDHA) Syndrome. Surgery is often offered to ViPoma patients with non-metastatic disease after stabilisation of diarrhoea symptoms. If the tumour has spread to other parts of the body (metastatic), surgery may still be possible to remove the part of the tumour that is producing too many hormones. This is often referred to as tumour debulking. A fasting blood somatostatin level can be used to confirm the diagnosis of a somatostatinoma. Curative surgery is not often performed due to the presence of metastases (spread). If the tumour has spread to other parts of the body (metastatic), surgery may still be possible to remove the part of the tumour that is producing too many hormones. This is often referred to as tumour debulking. Sometimes a cholecystectomy (removal of the gallbladder) is performed even in the absence of gallstones, because of the concern that gallstones could develop with persistently elevated somatostatin levels. Multiple Endocrine Neoplasia Type 1 (MEN-1), is a familial (inherited) syndrome caused by inherited mutations in the MEN1 gene on chromosome 11. MEN-1 is passed down in families from one generation to the next. MEN-1 can be inherited by a child if one of their parents has MEN-1 MEN-1 is a rare condition. It occurs in only 1 person in every 30,000 people The MEN-1 gene codes for the menin protein, and patients with an inherited mutation in the MEN1 are predisposed to develop tumours of the pituitary (the small “master” gland at the base of the brain), the parathyroids (four small glands in neck which help control blood calcium levels), and the pancreas. Symptoms of MEN-1, include fatigue, muscle weakness or pain, constipation, kidney stones and thinning of the bones and generally appear in individuals in their 30’s and 40’s. Clinical genetic testing is now available for these syndromes, but such testing is best done with the help of a trained genetic counsellor. If you are worried, contact your GP.